Everyone can benefit from having a good coach. The privileged amongst us might be lucky enough to be coached by someone of the calibre of Martin Brennan. In this entertaining and challenging Egg Talk, Martin shares his learning from 25 years of coaching people, from senior executives to ambitious small business owners. You’ll find his observations and conclusions to be both useful and impactful. And always remember – it’s later than you think! 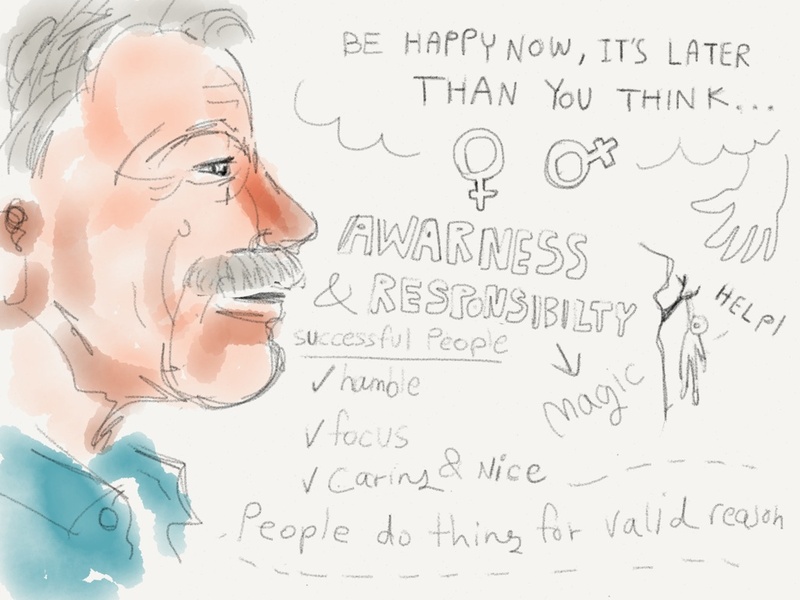 This graphic was generated during Martin’s talk by Naomi Fein, of Think Visual, using an iPad. This talk was recorded at a Smarter Egg event at Upstairs at the White Horse, Ballincollig, Ireland in April 2014. Smarter Egg clients from across the business spectrum were in attendance, along with some invited guests. The video footage was filmed and edited by Ian Armstrong of Onevision Multimedia. This entry was posted in Egg Talks, White Horse on May 13, 2014 by Aodan Enright.